Show off your BP pride while at the grill or while home brewing! Front features multiple pockets for storage, including an insulated pocket for keeping your beer cold! From Julia Klinger of Santa Rosa, California on 1/1/2017 . 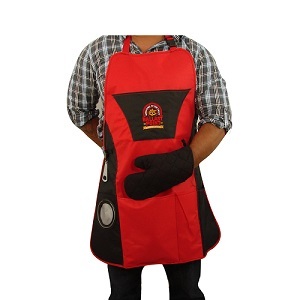 The apron was made sturdy and has several thought out amenities.